When you keep your eye on eBay long enough, you can always find oddities that will add interesting pieces to your collection. If you are a “purist” – Then, maybe this kind of fun isn’t for you. However, if you enjoy the oddities of philately, including, things that were obviously contrived and faked, then sources of material will be never ending. Stick to a handful of topics, and you can snag interesting stuff fairly cheaply. 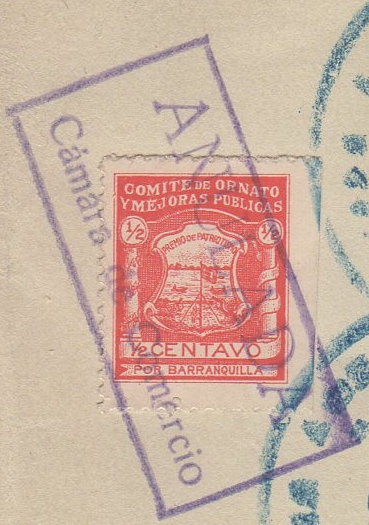 Take for instance, the”half cover” containing a Barranquilla Cinderella stamp from the 1920’s. 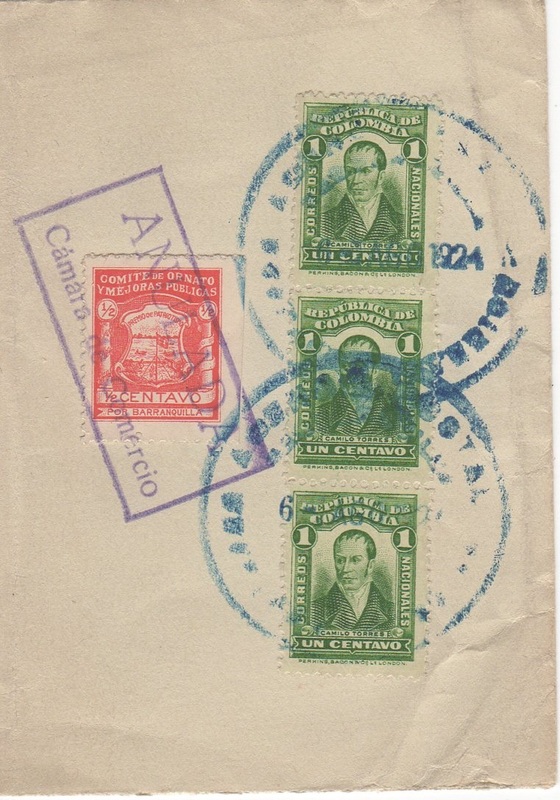 The postmark reads 1924, but, the local 1/2c Cinderella that was undoubtedly later applied, franks this “half cover” with no address, and nothing on the back. To – date, this is the first on-piece example of this particular stamp that I have found.